Jake Granger is the handsome captain of the star cruiser, the RELENTLESS. When Dr. Jessica Hunter is assigned to his ship for six months to create new systems, he doesn't let time waste. He is deeply attracted to Jessi and pursues her with a passion. He allows her preference to be alone while she works, but he demands she spend more time with the crew, mainly wanting her company to himself. Dr. Jessica Hunter is a wealthy and beautiful young scientist who is telepathic. She's a genious! She can perform magic tricks that shock her audience into speechlessness, and she has a special and gentle way with animals. However, the doctor prefers her solitude. She finds herself eventually succumbing to Jake's passions and they are soon married. But, Jessie learns some new truths about her past and knows she must travel to the planet of Rneadal to save the Rtuii. After their honeymoon, they prepare for the trip, but with trepidation. Jessic is pregnant. But other forces are at work in the atmosphere, and they may not be able to return with their lives. LONG JOURNEY TO RNEADAL is an adventure out of this world. 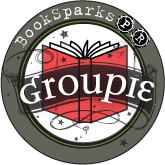 Sharon Dreyer does an excellent job of character building and describing the atmosphere, ships, and life forces. She makes it very easy to understand and follow the storyline. Jessie and Jake are wonderful characters full of life and depth. 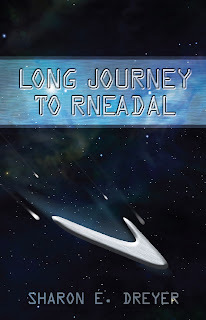 If your looking for something sci-fi, adventurous and romantic, LONG JOURNEY TO RNEADAL is a must read. A star-studded adventure of epic proportions!